Can a South African Study Visa lead to residency? A common question from students and prospective students, is whether studying at a South African higher learning institution assists them in anyway for obtaining residence at a later date. 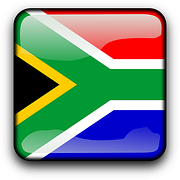 Changes in the immigration law in June 2014 brought South Africa into line with best international practise with the legislation now catering for the retention of high quality foreign graduates. Prior to these regulation changes, the fact a student had studied in South Africa made no difference in assisting them to obtain any form of residence visa for South Africa. For many years, countries such as the USA, Australia and Canada have embraced the fact that retaining certain foreign students can be of huge value to their economies and South Africa now does similar. Which students does this effect? The attraction of talent is now a global competition and of course every country wants to attract the most skilled. South Africa is no different and the study visa route to residency, is available to those students who are undertaking Phd’s in South Africa. What options are there for Phd students? Those students obtaining their Phd in South Africa are now able to apply for a critical skills visa. The critical skills visa is a 5 year temporary residence visa that allows the holder to work in South Africa with an employer of their choosing. There is no requirement for the student to have a job offer in order to apply, they must however secure and confirm their employment within 12 months. Once an individual has gained 5 years of post qualification experience they are entitled to make an application for permanent residence. PhD students can therefore use the study visa to first obtain temporary residence and work. 5 Years subsequent to their graduation, they would be eligible to apply for permanent residence. Intergate Immigration have successfully assisted in excess of 6000 applicants since our inception in 2005. We pride ourselves on proving our clients with the right information, to make the right decisions, at the right time, all under the auspice of service excellence. We are aligned with some of South Africa’s top universities and employers and welcome the opportunity to tell you more about the study visa requirements and how this can lead to residence.